At Sporting Chance we understand that parents face complex demands, juggling childcare with work and other commitments. Thats why they entrust their children in our hands because they know our club provision is affordable, safe and secure. 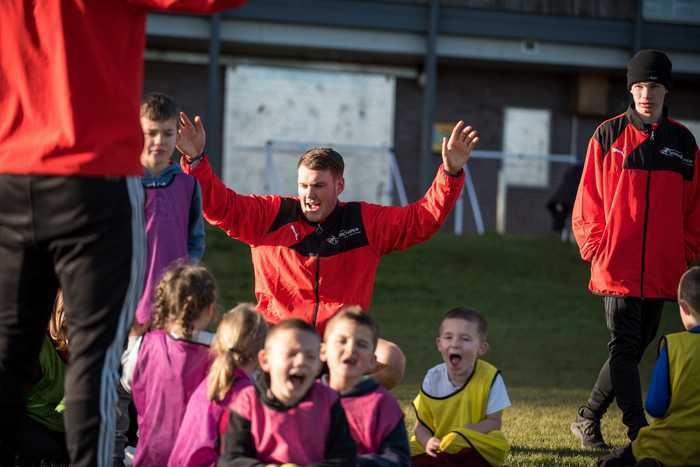 Our clubs offer an entry route into sport with our overall aim being to build relationships, boost self confidence, and allow children to develop their skills. All our clubs are run on a skills focus and include multiple game scenarios in each session. We run breakfast and after school clubs to fit around the school day; with a wide choice of sports available. We provide professionally run sports clubs including; team building activities, football, tag-rugby, tennis, dodgeball, ultimate frisbee, kwik-cricket, hockey, lacrosse, athletics, rounders, gymnastics, basketball, and more! Each week we celebrate success with our 'Star of the Week’ awards and 'Sports Superstar’ stickers.